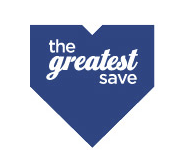 The Greatest Save (TGS) is a national safety program seeking to arm kids and teens with some prevention-focused tools needed to recognize and respond instinctively to dangerous situations they may face. The organization creates and provides free educational resources and events in various communities throughout the country. Baseball Hall of Famer Rollie Fingers serves as the National Spokesman and sits on the TGS Board of Directors. This year, almost 800,000 children will be abducted or go missing. It is estimated that 1 in 7 children will be sexually solicited on the internet. The Greatest Save is dedicated to the task of educating kids and teens on “What to do?” and “How to respond?” when dangerous situations develop. TGS hosts events throughout the country and has developed educational classroom materials available for all age groups. Established in 1991, The Greatest Save is a division of the KinderVision Foundation, a 501c3 nonprofit organization. It is an officially recognized charity of Major League Baseball. This worthy charity is supported by many baseball legends including Phil Niekro, Fergie Jenkins, Brooks Robinson, Steve Carlton, and our good friend Goose Gossage. Major League Baseball annually features TGS at MLB All Star FanFest, where more than five thousand children and their parents participate in TGS safety activities. In addition, many of the teams host TGS safety events at their ballparks including our favorites: the Chicago White Sox and Philadelphia Phillies. Additionally, many other MLB franchises annually record “TGS Player” PSA’s, 30 second safety tips, for kids and teens. Everyone at Team DA15 is excited and happy to support Barbara and the important work of The Greatest Save. If you want to learn more about how you can get involved? Click here. I would love to continue this as well In memory of my cousin ed Herrmann Pls let me know how I can get involved.